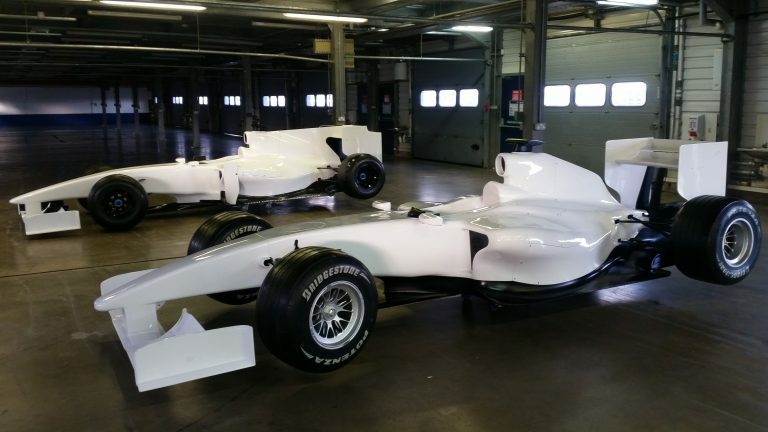 Our F1 cars are painted plain white to offer a unique blank canvas to any company or individual for promoting or advertising brands and products, or telling the world their messages. We create fully branded souvenir Lap cards for every driver, meaning your brand and messages are given to every visitor in hard copy. Every member of staff we supply is fully briefed before an event to ensure they speak your language and understand the purpose and goals of your business. We can supply and design clothing, whether corporate or promotional to fit with your event and really show off your brand! 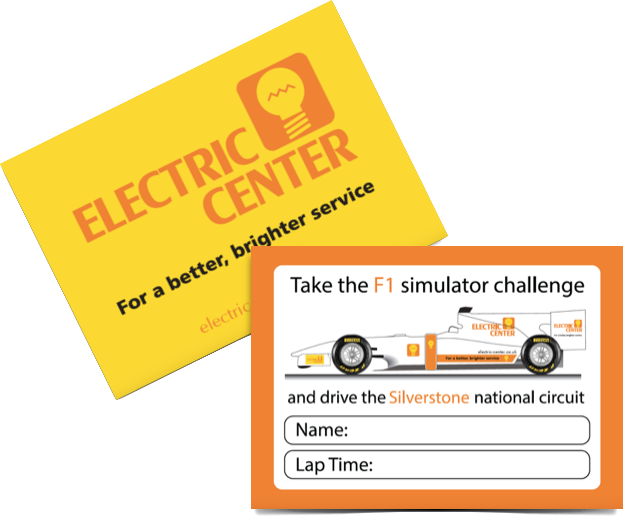 When you hire a simulator, we provide you with our bespoke on-line leaderboard, branded in your company logos. We create an individual event for you and every driver registers before driving, joining the on-line leader board for your event so you can see every visitor’s details in real time. 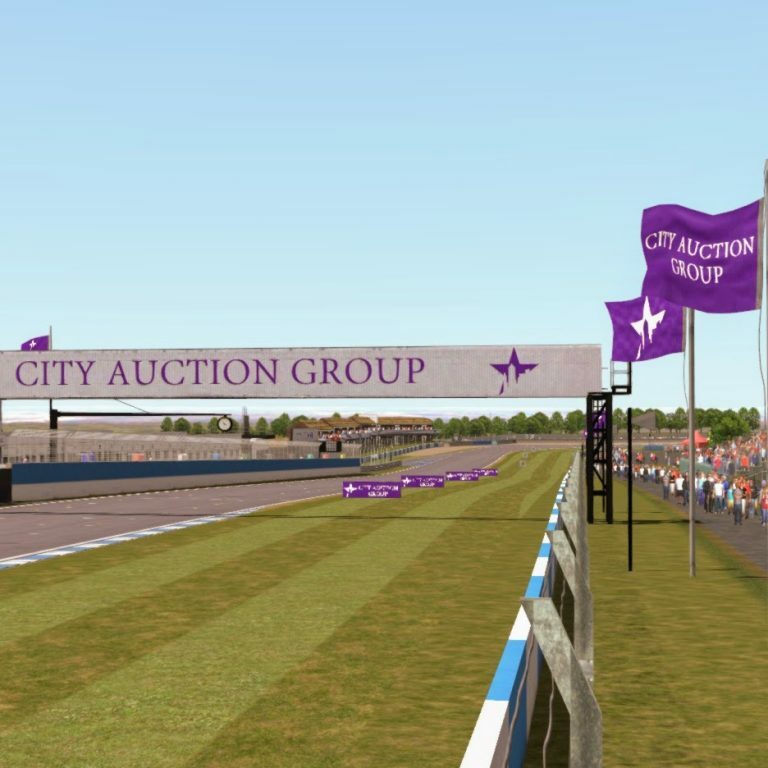 our state of the art software allows us to put your logo featured around the track. Wherever in the world your guests or employees choose to race and in whatever race series, they will see your branding on every bridge, crash barrier and advertising board. All for a price that represents percentage points of the real thing. Our expert in-house graphic and vinyl team will work with you to ensure that the car is fully branded to match your requirements, from applied vinyl graphics to a full vinyl wrap.